Say Communications has won a brief in to promote Under Siege, the first real-time strategy game for PlayStation3, ahead of its UK launch next week. The agency was appointed by developer Seed Studios to promote the download-only game, following a competitive pitch. 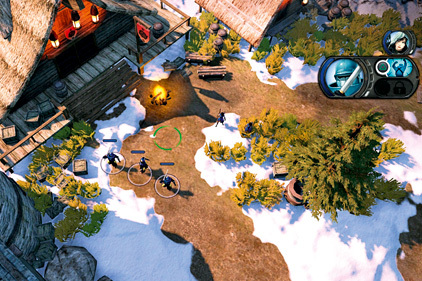 Under Siege allows gamers to create their own maps as they progress through the levels and play online with other members of the game’s community. It also allows players to upload pictures onto social media sites. The game was developed exclusively to download for the PlayStation Network, where it will retail at £11.99. Under Siege has already created a buzz among gaming blogs after a drip feed of information. London-based Say Communications is holding two launch events in London and Bath, supported by a radio, trade and national press campaign prior to the game’s release. The agency’s PR will focus on the game’s user-generated content and the fact the game is the first RTS software to use the new PlayStation Move controller. Stewart-Muir added that Seed had already begun drip- feeding information to the media ahead of the ‘large scale PR launch’.